A journey into the warm and turquoise side of Tasmania. There's large amounts of white sandy beaches, crystal clear waters & oceanic wildlife. 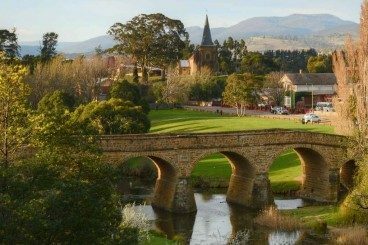 Visit the Beautiful heritage town Ross: convict built bridge, and tasting of a famous Scallop pie from Ross Pie shop. Midlands farming region: pass through heritage towns and see numerous livestock & crop farms. 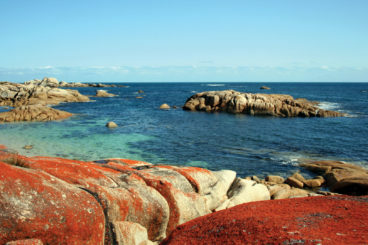 Scenic drive to Bay of Fires. Relax on the beach or have a swim in the crystal clear waters (conditions permitting) (Lonely Planets must see for 2009). A walk to the Gardens: a renowned isolated shack area with stunning views of the ocean. A very scenic drive down the coastal road to pass plenty of white sandy beaches with crystal clear pacific ocean water. 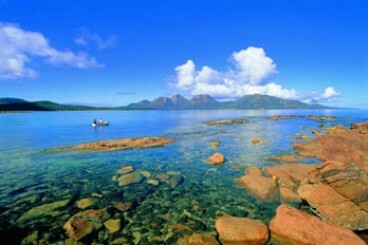 Visit and taste local oysters at Freycinet Marine Farm on the Freycinet Penninsula. Lunch: Recommend at Lichen Restaurant overlooking Binalong Bay (At own cost). Dinner: We recommend The Bay Seafood Restaurant at Freycinet Lodge for some great fresh seafood (At own cost). Accommodation: Freycinet Lodge, one bedroom cabin (Breakfast included). Cape Tourville Lighthouse, Honeymoon Bay and Sleepy Bay. 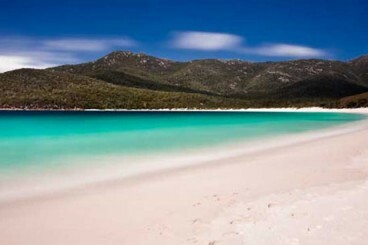 A rare opportunity to experience Wineglass Bay from the water in the premium Sky Lounge on a Wineglass Bay Cruise. A unique perspective of the Freycinet Peninsula’s incredible sheer granite cliffs, sea caves & hidden coves with a highly skilled, local skipper with vast knowledge of the rich natural history, geology, eco systems & heritage of the Freycinet Peninsula. Abundant wildlife sightings including sea birds, penguins, dolphins, seals and whales. View The Hazards at Freycinet National Park. Take the impressive walk to the lookout of Wineglass Bay (2hrs) or enjoy a few hours and sunset on the deck at Freycinet Lodge. Lunch: Included. A Ploughman’s lunch of Tasmanian produce and delicious local beverages. Taste amazing local wines and stunning views across the Great Oyster Bay at Devils Corner and engage with the vineyard owners for a private tasting at Craigie Knowe Wines, the oldest vineyard on the East Coast. Enjoy the scenic Great East Coast Drive along rugged cliffs and beaches. 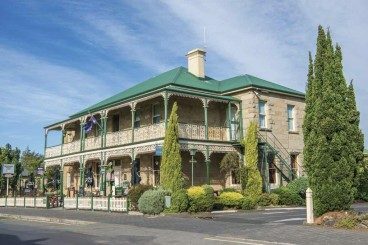 Explore Richmond Historic Village to see Australia’s oldest bridge, art and craft and unique antique shops. Relax and take a stroll through Hobart, Salamanca and Battery Point in the evening. Lunch: We recommend local fish and chip lunch overlooking Maria Island at Triabunna (At own cost). Dinner: There are numerous options in Hobart, discuss with your guide (At own cost). 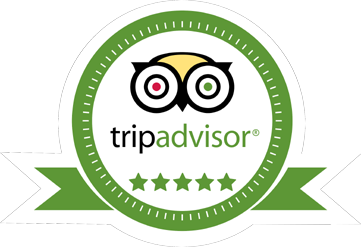 Accommodation: Please advise if you want assistance with booking this nights accommodation. Add extra days and spend more time in the locations of your choice – just contact us and have a conversation about modification of your tour. Maximum of 11 guests per tour. Larger private groups can be accommodated. 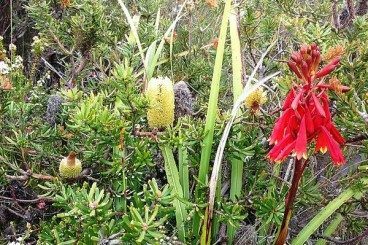 The weather can be unpredictable in Tasmania and the evenings can be very cold. Warm jackets, gloves and beanies are recommended. Bring sturdy walking shoes. We are commonly on unpaved paths. Bring your cameras and phone chargers. 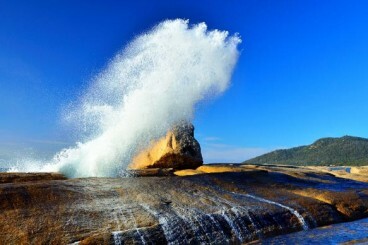 Tasmania is stunningly beautiful and you’d hate to miss that photo opportunity. Bring a healthy enthusiasm for a lot of fun and exploring new experiences.